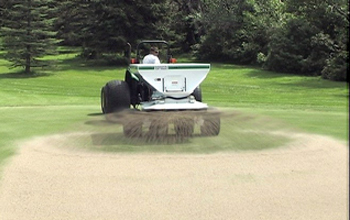 We provide Topdressing Service for all types of applications and with various materials, Our equipment is capable of topdressing at any depth. 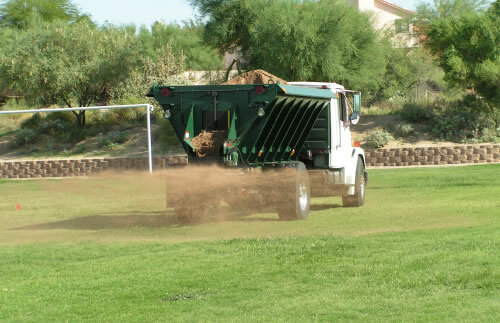 Replenishing organic matter to your turf is an essential part of turf management. The combination of Deep tine Aeration and topdressing can literally amend your soils while still keeping your fields available for activities. Whether you're a golf course superintendent or a turf manager of sports fields, we can provide this service cost effectively. Sign up to receive our current promotions, news, demonstration locations & events. Copyright © 2014 FX Turf Specialists by AO Design Company All rights reserved.